We booked a package holiday online via Jet2 Holidays for £2450 for a family of five including one free child place, so everything such as return flights, accommodation and transfers was included in our booking. You can read about our holiday here. I was really impressed that each passenger got a very generous 22kg luggage allowance (even the children) included in the price of the package. All the prices were really clear and there were no hidden extras, we did pay extra at the time of booking to pre-book seats as we were travelling as a family. 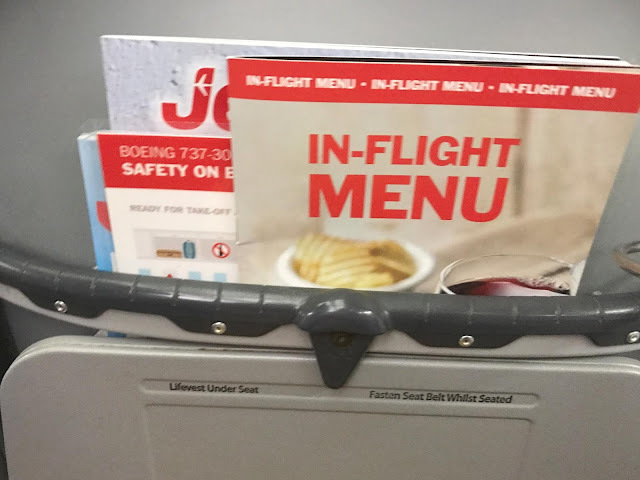 We didn't pre-book meals as we didn't need to with the times of our flights, if we wanted to we could have and they were a fair price at around £7 ish. 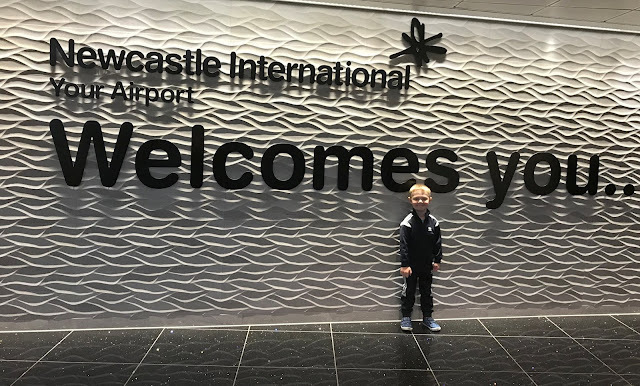 At the time of booking, we were able to book any day and had the choice of two flight times per day, as they fly from Newcastle to Palma airport in Majorca twice per day during the summer season. We picked the early 6.40am flight going and the later 8.30pm flight to return, these worked out slightly cheaper and worked best for us as a family. As we had booked and paid for everything online 30 days before departure we received an email asking us to check in online. It was really simple and super quick, we just had to check and fill in some details (passport numbers etc) and then print everything off. So on the day of departure, we just had to turn up at the airport and check our luggage in at the check-in desk, we didn't have to wait for boarding passes or anything as we had already printed them off. We flew on a Saturday morning so the flight was busy with a real mix of passengers, families, couples, a few groups of friends and even a few hen parties. Although being an early flight there were no noisy passengers and obviously, there is no alcohol served that early on a flight. The flight was fully booked going so I was glad we had pre-booked seats near the front. There was plenty of overhead space for the children's Trunkis and other hand luggage. I was also really impressed with how much leg room you got, we did not feel at all cramped and I could easily stretch my legs out a bit. The only thing I found strange was there were no shutters on the windows so you couldn't block the light out when it was bright. 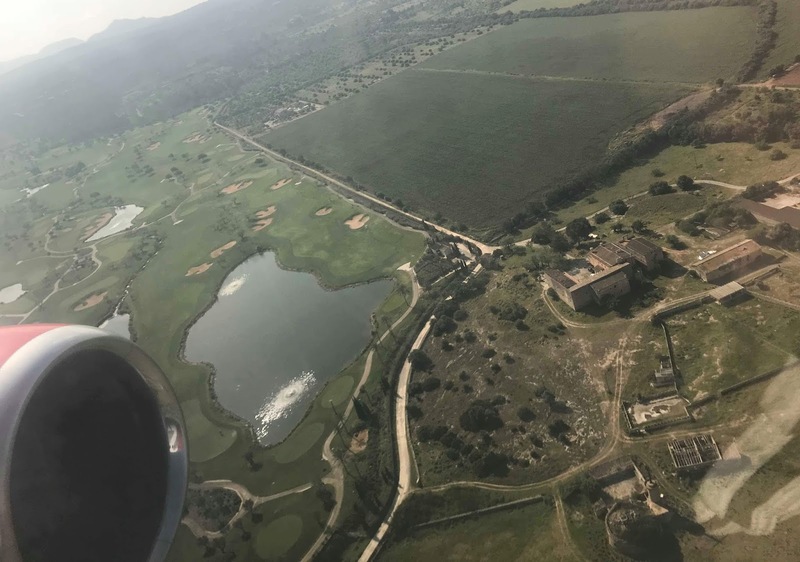 The flight time from Newcastle to Palma, Majorca is only 2 hours 40 minutes, although we did land about 10 minutes early going and twenty minutes early coming back. So it is the perfect short-haul flight with young children. There is obviously no in-flight entertainment on board but as it was such a short flight my 3 and 4-year-olds were happy colouring in and watching their tablets. You can check out this post from Navigating Baby for tips on flying with kids. If you don't pre-book meals you can still buy food and drinks onboard and they are not overpriced, you could buy a sandwich and crisps for £4.20, a Starbucks coffee or Tetley tea for around £2.50 and bar of chocolate for around a £1 and soft drinks for around £2. 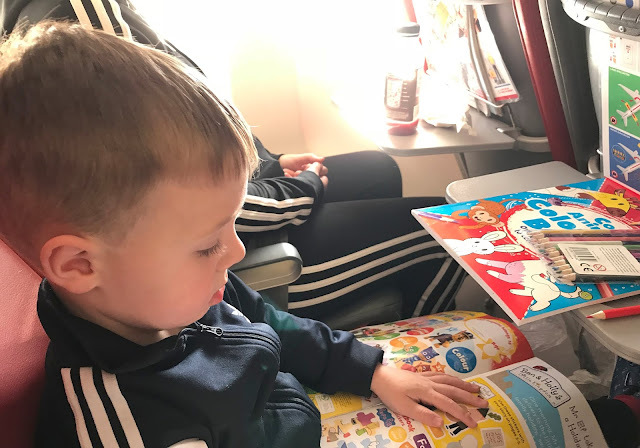 The onboard duty-free was good too, we got Jacob a model Jet2 plane which was about £8.50 and my teen bought some Benefit make-up on the flight home which was much cheaper than the high street. All of the cabin crew were really friendly, especially the lead flight attendant on the return flight who was so chatty and lovely with the children. Another thing that we really loved was the in resort check in on the way home, this was amazing with children. You can check your luggage in at your hotel on your departure day, the Jet2 reps arrive at the hotel and check all your luggage in there and then and then they load it onto a lorry which takes it the airport and the next time we saw it was when we arrived back in Newcastle. It meant not having to load luggage onto the transfer bus and no having to queue at Palma airport to check in. We arrived at Palma airport and went straight through security. Overal we were really impressed with our Jet2 experience, the generous baggage allowance and choice of flight times was a big plus for us as a family. The aircraft was more comfortable than I expected with lots of leg room and it was perfectly adequate for a short haul flight. The in-flight food and duty-free options were really good. 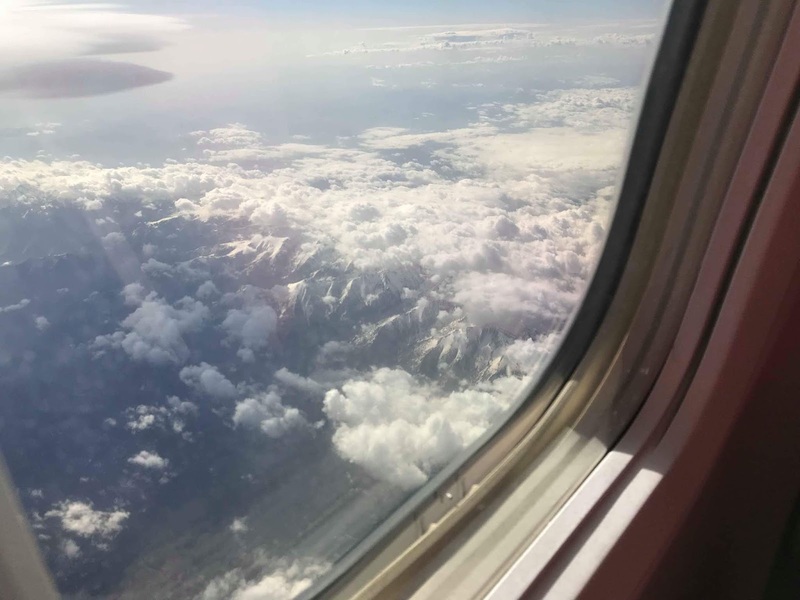 The thing I was most impressed with was the resort check in, that made travelling with children so stress-free and I would recommend it to anyone. 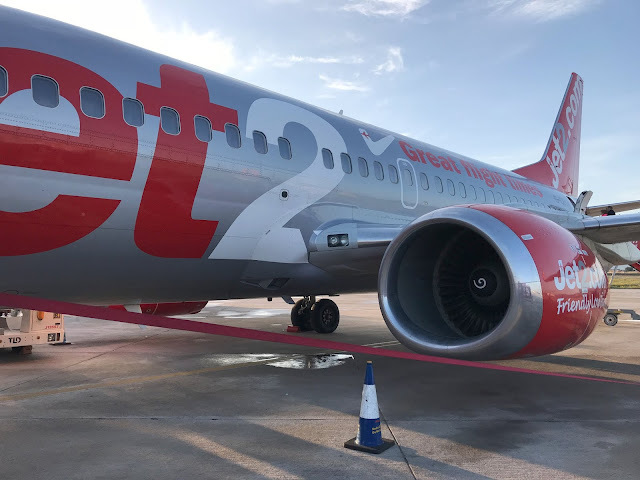 I would definitely travel with Jet2 again in the future as we had a fantastic experience which was much better than I was expecting. I paid for this holiday myself. I haven't flown with Jet2 before, and it's interesting to read about your experience. It does sound as though they're better than other budget airlines I've experienced. Nice to have a smooth check-in at the end!